Event registration & ticketing software helps to facilitate attendee registration and allows event planners to track and manage their guest list. Using these programs, attendees can purchase tickets or register for free events, and event planners are provided with guest list information. These software products can streamline the process of registering attendees and receiving payment prior to an event, and organize the registration process day-of as well. Event Registration & Ticketing reviews by real, verified users. Find unbiased ratings on user satisfaction, features, and price based on the most reviews available anywhere. Bring people together, with elegantly simple event registration software. Picatic makes it simple to create stunning event pages, manage registrations, and sell tickets anywhere. You can choose to use our #1 rated event creator and event pages at picatic.com, our new Picatic Anywhere product to sell tickets on your own website (no coding skills required), or our powerful API for fully customizable event experiences, available at developer.picatic.com. Ticket Tailor makes it easy for you to sell tickets online directly from your website. They have low fees, are easy to use, and you get paid for your tickets sales directly to your own PayPal or Stripe account. Townscript , a self serve event ticketing platform, helps its clients with registrations and selling of tickets for their events. It is present in 27+ countries and is widely used worldwide mainly in countries like United States of America, Canada, Indonesia, India, and Singapore. Offering: Online do it yourself (DIY), event ticketing and registration platform to sell event tickets online without any hassle irrespective of the event size ( big or small) or event type (one time or recurring) . Also, helping event enthusiasts discover events taking place in their cities globally (https://bit.ly/2MyDG0P). Mission: Making online event registrations and ticketing an easy and seamless experience for event organisers; and bridging the gap between organisers and enthusiasts worldwide. We understand that creating a great event is no easy feat–we’re here to help with our network of 6.3 M users and world-class products. We provide valuable insights to reach and engage more fans and ultimately sell more tickets. Easily create and email elegant business invitations and announcements alongside advanced guest list management, RSVP tracking, ticketing, donation collection, and more. By combining sleek, elegant design with contemporary, digital delivery and full event management tools, planning an event and connecting with your network has never been easier. Choose from our exclusive templates to customize with your company branding, or upload your own design and benefit from our fully integrated event management, tracking, and ticketing functionalities: the choice is yours, and our team is here to make it effortless. Ticketbud is the easiest platform to manage, promote and sell tickets to your event. Ticketbud's event registration software allows you to get set up and selling tickets in less than 5 minutes. Our internal processor gives you daily payouts, meaning that you no longer have to wait until after you event ends to get paid! Finally, our customer experience team is skilled in assisting you with whatever you may need. Weemss is a unified event platform with powerful ticketing and awards management capabilities. It provides a flexible and highly customizable solution for organizers to create, promote, sell, and manage their events in 200+ countries, with 160+ currencies and 40+ languages available. Weemss gives full control and greater freedom. Event organizers receive their payments instantly after each sale, communicate directly with their clients, retain 100% of their clients’ data and decide what Weemss tools to use and how. Today the platform is the prefered solution for hundreds of companies in over 80 countries around the globe. ThunderTix is a full service, web-based ticketing solution that allows venues to sell tickets both online and through their box office. Directly embed your events into a "Buy Tickets" page on your website for a seamless, branded website solution. iModules is a constituent engagement management provider or educational institutions that provides modules to help you manage events, websites and content, data, and more. Event Espresso is an event registration and ticketing management platform/plugin for WordPress. zkipster is the event management software for the world’s best events, with over 12 million guests checked in across more than 100 countries. epic Registration is a solution that helps you manage all aspects of registration from planning to reporting to help you organize and manage your attendees. 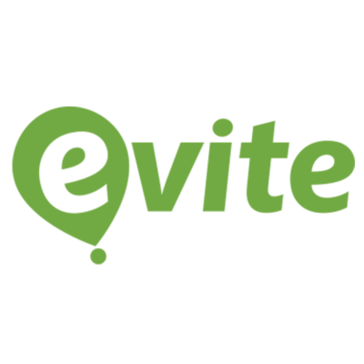 An easy to use, yet powerful platform to manage, execute, and grow your events. Our event ticketing software provides a complete platform, with features focused on marketing, cash flow, and analytics. We’ve worked tirelessly to develop one solution for all events. Today, Big Tickets is the platform of choice for thousands of organizations including Luke Bryan Farm Tour, SweetWater Brewing Co., and Big Green Egg. Ticketfly offers ticketing, digital marketing, and analytics software to meet the ticketing and marketing needs of the event promoters. Instantly Increase Ticket Revenues By 10%! TicketSpice is different, because you keep 100% of the ticketing fees and only pay 99 cents per ticket! It's the only online ticketing platform that gives you total control of your ticketing... ticket options, pricing, convenience fees, branding, funding and more. Tix specializes in no-cost, feature-rich ticketing solutions for venues, promoters, universities, museums, theatres,festivals, concerts and more. Yapsody is Professional Event Ticketing System which helps to Create Events and Sell Tickets Online using Virtual Box Office. Yapsody is Free for Free Events. Eventbee is an innovative online ticketing system in the world. $1 flat fee per ticket, no % fee! 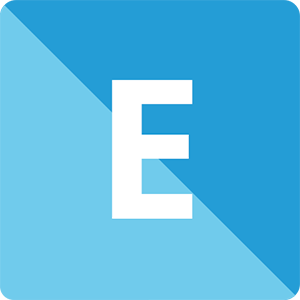 Eventsbot.com helps create, organize, manage, promote, and sell seminars, classes, exhibitions, and other important events. Learning Stream is an online registration software provider for education and training courses, conferences, and other events. ShowClix is the platform built by fans of live events to help organizers grow their businesses. Our experts provide event technology and professional services that support our partners through the entire event lifecycle. Iconic brands like New York Comic Con, The Gold Group, The Daily Show, and MoMa choose ShowClix to power their events. Contact us today! Swell provides a cloud-based peer to peer platform designed for events. It's the only one of its kind. Swell's fundraising tools are used online and real-time to engage guests (and their friends) in giving and online sharing. Using Swell increases event revenue, saves time, ensures a smooth check-in and enables nonprofits to acquire new donors effectively. We are committed to nonprofits and our customer service reflects that commitment. Simple and efficient event checkin and badge printing. Agile Ticketing is a ticketing software that assists with ticketing, even marketing, social media integration, donor management, and reporting. BlueSkyz is a registration management solution that provides online registration for exhibitors, attendees, and speakers with customized features to meet your clients needs. Bookitbee is a event booking and ticketing platform for booking events registration. CMR is a full service provider of housing, registration, and marketing services for citywide meetings, conventions, and exhibitions. We specialize in advance and onsite registration services, international and domestic group management, exhibitor services, session scanning/lead retrieval, CME/CE certification, hotel contract negotiation, and housing management services including a responsively-designed hotel booking site, custom configured to your program and offering a modern UI. We additionally provide high-touch customer support, from online FAQs accessible 24/7 to a phone/email contact center that operates from 6 am to 6 pm ET Monday-Friday.